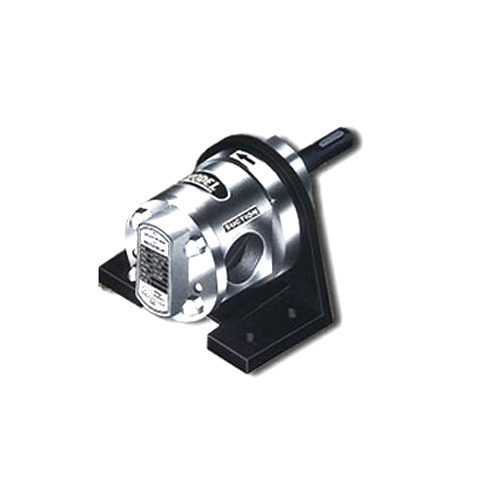 We are instrumental in supplying and exporting of best quality Stainless Steel Rotary Gear Pump type HGSX. Rotodel pumps are used for handling viscous food product like butter, fruit pulp, ghee, vegetable sauce and kanji. Also, these are commonly used in food and pharmaceutical industries for handling sugar solution and glycol. Our pumps offer noise and vibration free operation. We, M/S Dynamic Products & M/S Parekh Engineering Co. are into leading suppliers of Gear Box, Geared Motors, Gear Pumps Centrifugal Pumps, Submersible Pumps. We represent manufacutrers like Kirloskar Brothers Ltd., Del P.D Pumps (Rotodel), Darling Pumps, Lubi Pumps LLP. Our Sister concern M/S Dynamic Products are leading suppliers of manufactuers like Nord Drivesystems (P) Ltd for their Gear Boxes, Geared Motors & VFD. * Manfacturer Nord Drivesystems (P) Ltd: Inline Helical Gear Box, Inline Helical Geared Motors, Parallel Shaft Gear Box, Parallel Shaft Geared Motors, Bevel Helical Gear Box, Bevel Helical Geared Motors, Shaft Mounted Gear Box, Shaft Mounted Geared Motors, VFD, Industrial Gear Box, Industrial Geared Motors, Speed Reducers, Helical worm Gear Box, Helical Worm Geared Motors, Worm Gear Box, Worm Geared Motors, VFD mounted Geared Motors, Decentral Drives. * Manfacturer Darling Pumps Pvt. Ltd: Submersible Sewage Pumps, Submersible Dewatering Pumps, Submersible Sludge Pumps, Submersible Slurry Pumps. (M/S Kirloskar Brothers Ltd - Dewas (Centrifugal Pumps). We always look forward to be in tune with the present market situation so that we can give efficient products to the customers who in turn can have the technology advantage in their manufacturing process.